Grew Up… as a worker in the off-world colonies. Roy, an artificially intelligent Nexus-6 Replicant, has spent his short life doing the work of a slave. He’s had enough of life in space, and wants to live out his remaining years on Earth. Profession… slave and warrior. Roy was designed as a combat model, and has spent his life serving in perilous intergalactic military campaigns. Roy was created with an “A Physical Level” and an “A Mental Level,” making him highly intelligent and incredibly strong. Challenge… surviving. 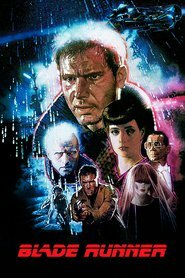 Roy, like all Replicants, is destined to be “retired” on a certain day. However, Roy isn't willing to accept his predetermined death, and he'll do anything to extend his life. Right now, his plan is to find his maker, the elusive Dr. Eldon Tyrell, and beg him for a longer life. Roy Batty's popularity ranking on CharacTour is #1750 out of 5,000+ characters. See our top-ranked characters and read their profiles.